Wash the cauliflower and cut out the roses, then quarter or half the roses. 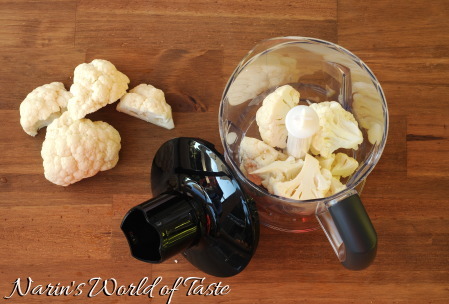 Now put some of the cauliflower into your food processor (or hand blender, if you have a combo set) and pulse it until you reach a couscous-like consistency. Don’t over pulse it, else you will get a mash out of it. 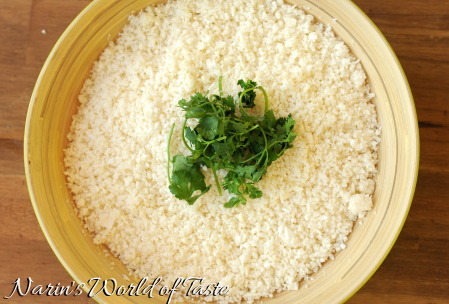 I usually do this step in 4 – 5 batches to complete the entire cauliflower. 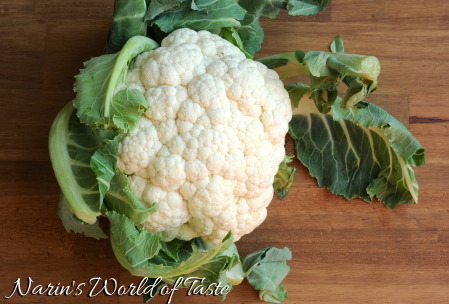 Heat the oil or ghee in a pan and add the cauliflower. Fry on medium to low heat for about 10 minutes, stirring regularly. 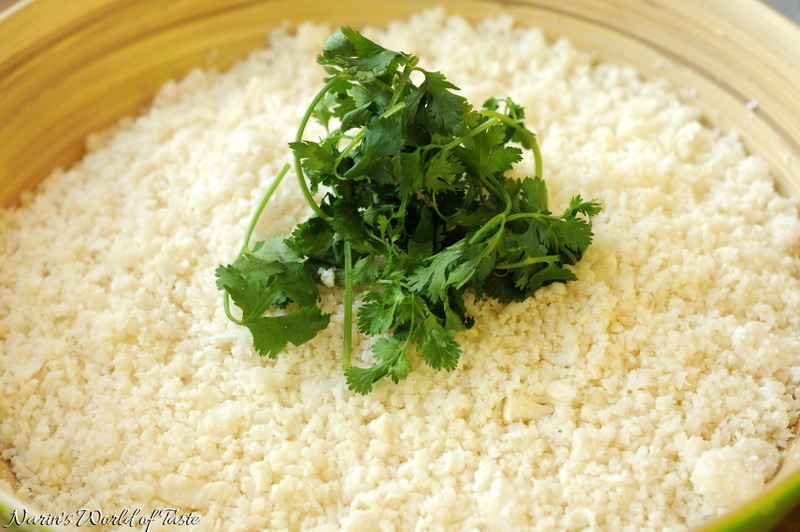 Serve immediately and use it instead of rice in any main dish that would normally be served with rice. 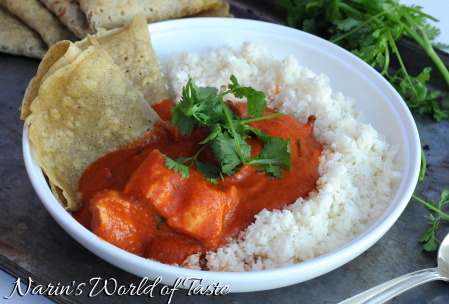 For example, it goes really well with my Kashmiri Chicken Curry.